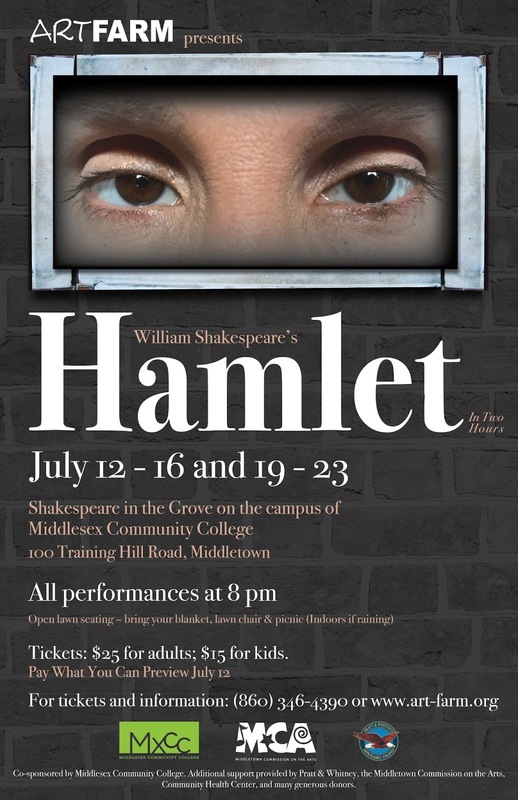 ARTFARM presents Hamlet July 12 – 16 and 19 – 23, 2017. All performances at 8 pm. 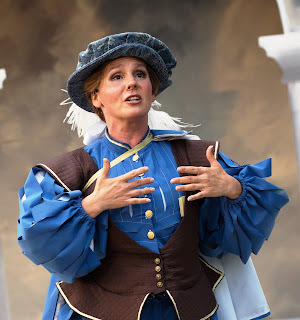 12th Season of Shakespeare in the Grove on the campus of Middlesex Community College, 100 Training Hill Road, Middletown, CT. Tickets are $25 for Adults, $15 for kids. Bring blankets, lawn chairs, picnic. Indoors in case of rain. For tickets and info go to www.art-farm.org , email info@art-farm.org, or call (860) 346-4390. Photo by Bill De Kine shows ARTFARM Artistic Director Marcella Trowbridge, who will play Hamlet this summer, as Beatrice in the 2016 ARTFARM production of The Servant of Two Masters.